Steve and I are not ones to shield our children from the world around them and we always try and include them in our conversations if they're around. For example, they know which political party we vote for and why (although we always make sure they know to make up their own mind when they are older). I think talking to your children about life, world events and issues helps to ensure they grow up to be a more rounded and mature adult and it's really important to us that they understand the world they live in - good and bad. 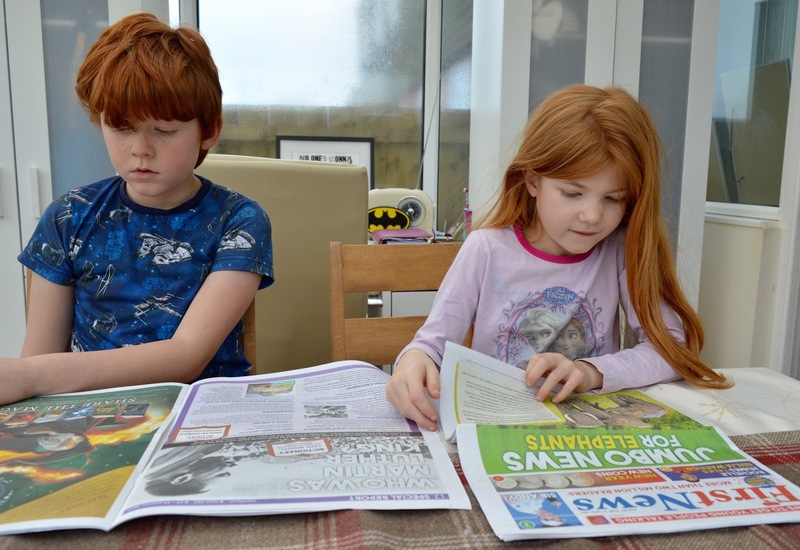 When First News got in touch and asked if Harry (10) and Heidi (7) would like to review their subscription service, I knew they'd be perfect for the job. 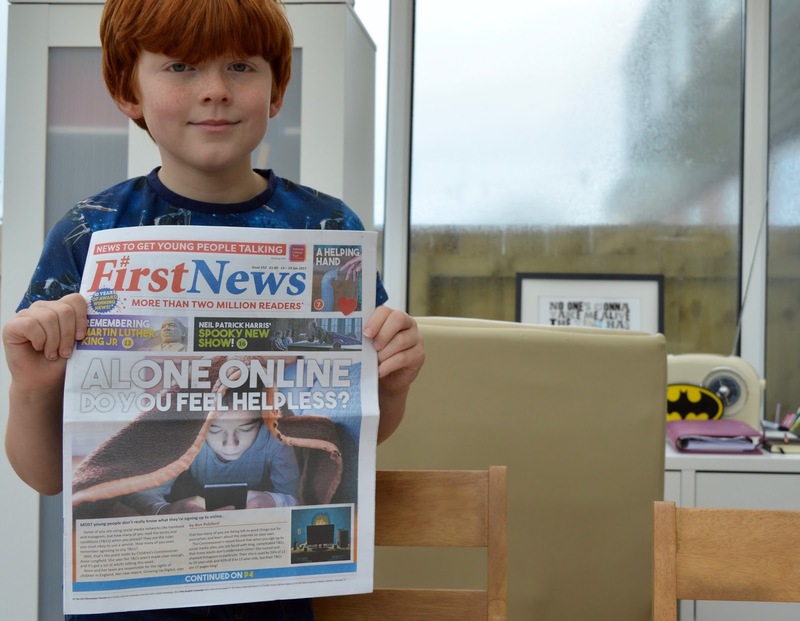 First News is a weekly newspaper for ages 7-14 and is designed to 'get young people talking'. Sunday mornings are a lazy affair in our house and I decided it would be the perfect time for us to all sit around the table after breakfast and read First News together. First News is usually delivered on a Friday so it's perfect for weekend reading. The layout of the paper ensures there are lots of little snippets of information that are really easy to dip in and out of. 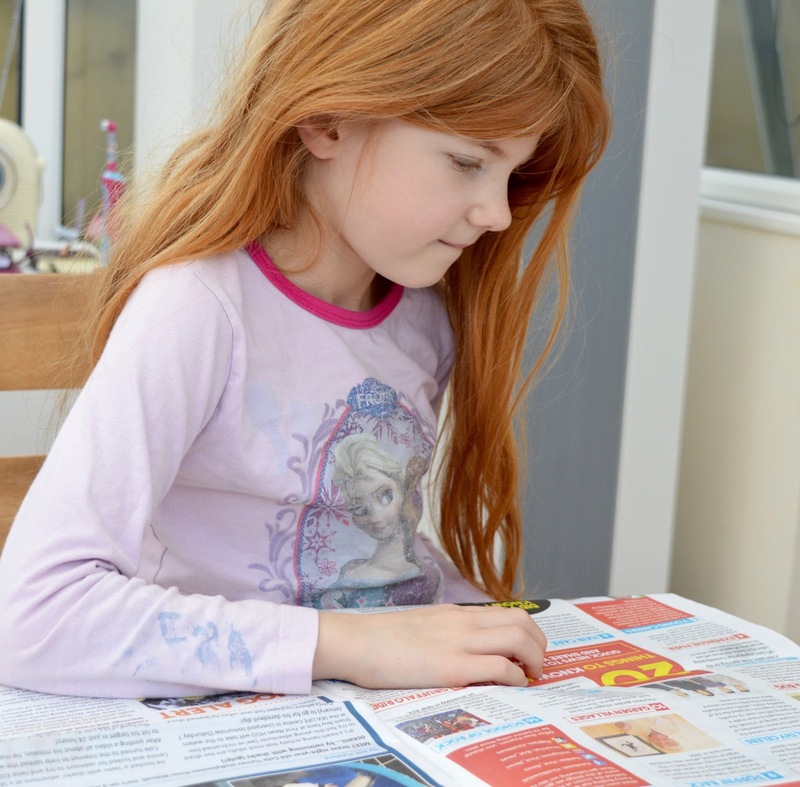 Heidi particularly enjoyed the 'Quick News' section and shared lots of fascinating facts. Harry and Heidi are both very different in their likes and dislikes. 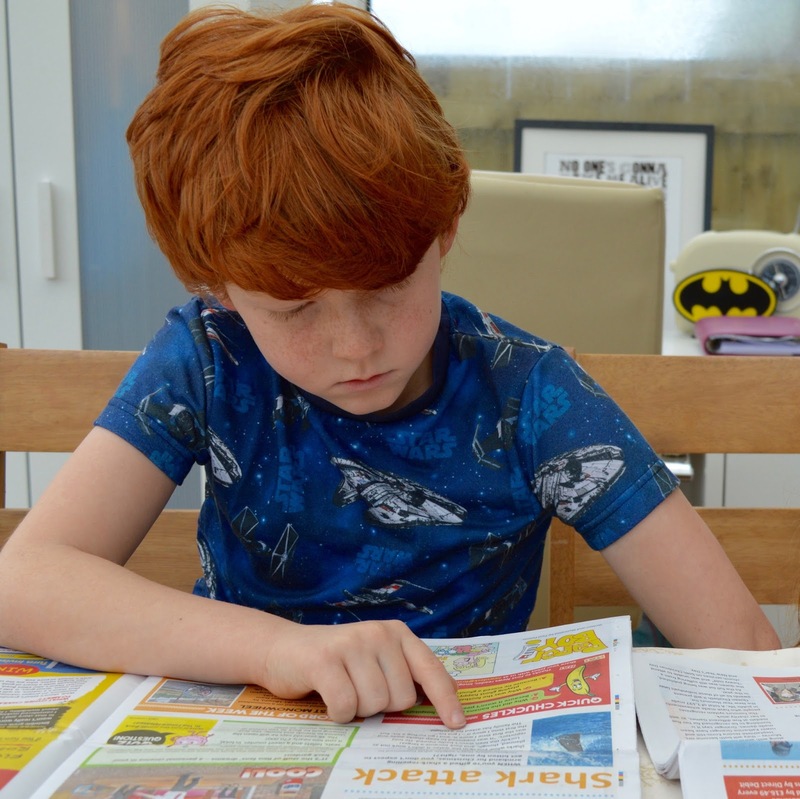 Harry thoroughly enjoyed reading about world news, entertainment, game zone and crazy but true and his favourite section was definitely the science news where he learned all about Google's new Artificial Intelligence. Heidi preferred the quick news, animal news and this week's news in pictures. In our first issue we received an 'animal watch' poster which we're going to stick to our conservatory wall. It shows you which animals to look out for in your garden throughout the year and was a nice added bonus. If you would like to sign up and try First News for yourself, you can sign up using this special link and use code Blog17. This will activate a special reader offer of 5 issues for just £1 and then a 3 monthly subscription of £15.99 including delivery. You are under no obligation and can cancel at any time. 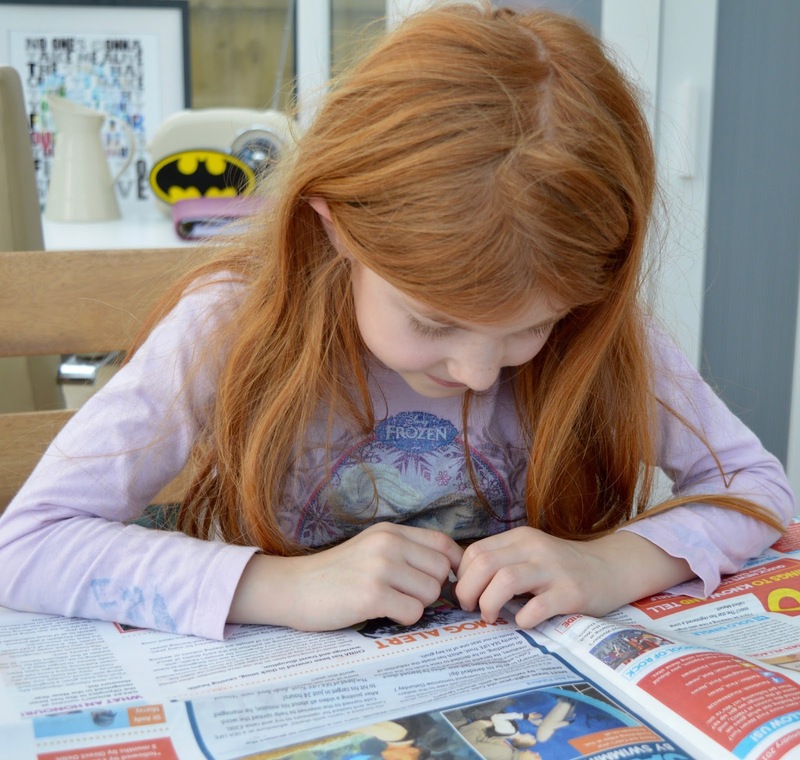 Harry and Heidi really enjoyed receiving a newspaper just for them and I'm rather jealous actually! I might subscribe to a weekly paper and join them I think. Harry would like to point out that he feels that some of the information in the paper was a little dated but I think this will always be the case with print media as you hear everything on the internet first. Despite this slight niggle, he would still recommend First News. 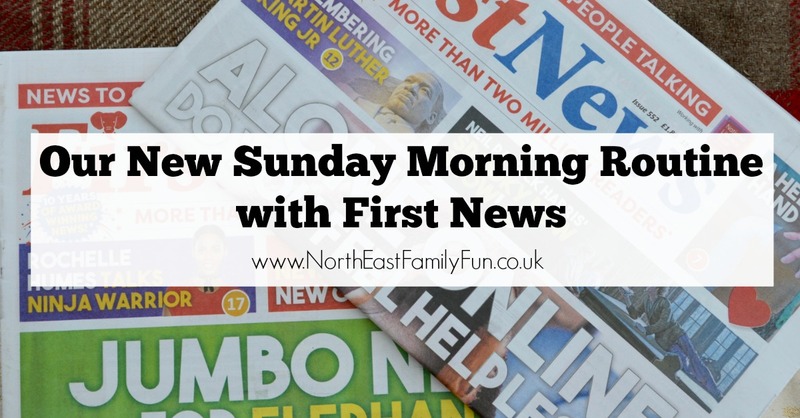 I'm really excited to add First News to our Sunday morning routine and I'm sure as the weeks go on I'll be tweeting little bits of info that we've learned. Don't forget to sign up using this link (using code Blog17) and access 5 issues for just £1 if you'd like to try it too.